On Saturday afternoon, WSX and WIM members got together at the Annual Prizegiving event and buffet, preceded by an informal score around Wimborne. There was a good turnout and it was a lovely social occasion. Captain’s Trophy (Men’s Club Champion) – for the 4th year in a row, awarded to John Cook, who first won the trophy back in 1997! 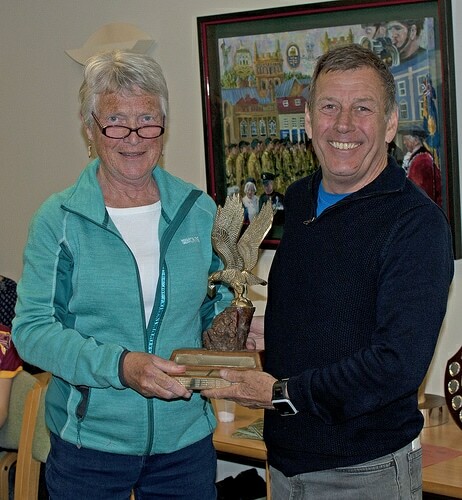 The Sheila Beldowska Trophy (Ladies Club Champion) – for the 2nd year running was won by Lyra Medlock. Unfortunately, the Medlocks were unable to attend. Next was the Ian Horsey Trophy which is awarded to a Senior member of the club who the committee feel has performed particularly well throughout the previous year. 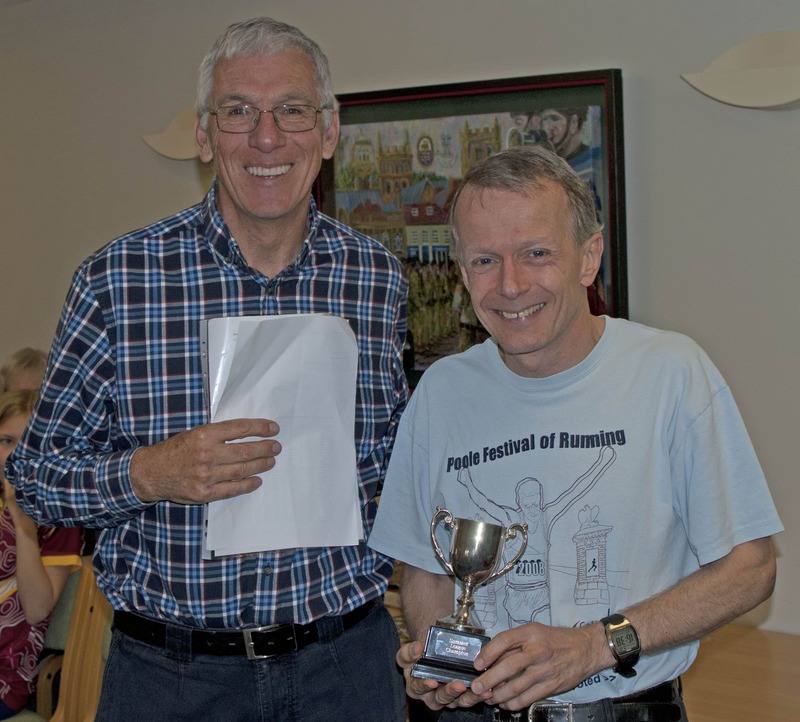 This was awarded to Peter Suba for not only winning a very competitive Wessex Region Night League, but for achieving consistently high-placed results in most of the events he attends. Unfortunately,Peter was also unable to attend. The Charlie Morton Trophy is awarded to the Junior member who has performed well in the previous year, and was awarded to Lyra Medlock. Lyra has had a fantastic year, winning the Orange Galoppen series, and having moved up to Light Green mid-season is performing well at that level too. She shows great enthusiasm and perseverance, competing all over the country with her family and I’m sure she is a future England prospect. The final WSX Trophy, the Chairman’s Trophy, which is awarded to a member who the Chairman believes has contributed “above and beyond” for the club and this year was given to Jason Falconer for all the work that he does with local schools and the enthusiasm that he constantly shows for this task. WIM Chairman also presented Dale Paget with the 2017 Summer League Trophy. We’ll present the trophies to Lyra and Peter at the earliest opportunity. Regarding the score event itself: WSX members gained the top 4 places – Dale, Alan, James and Roger – with John Cook in 7th. Well done all. Other results: I failed to mention (as I hadn’t realised that he’d competed in the London Marathon!) that Ian Middlebrook ran an amazing time of 3hrs 33 secs (yes, seconds not minutes!). Brilliant. Yesterday, on his way to Hungary (as one does), Peter came 1st on Green (they’d run out of Blue maps) in the Havoc event at Hadley Country Park, Essex. 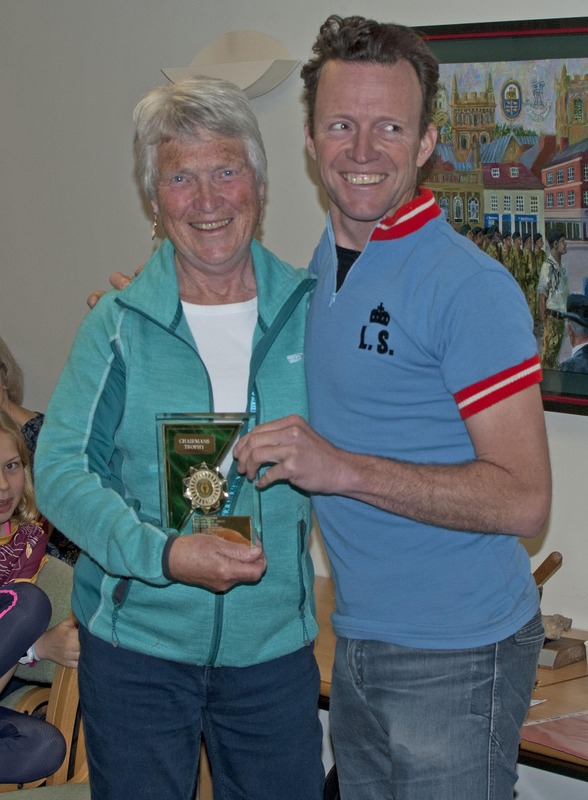 And Esk Medlock has been awarded the British Orienteering Racing Challenge: Gold Award recently. So, well done Esk. Ten-Pin Bowling + Meal – June 1st and Informal Score + BBQ – Studland Beach – July 20th. Put the dates in you diary now!